Waterfall Info: This is a small, low-flow waterfall on the west branch of Big Leatherwood Creek (in the Big Leatherwood Creek headwaters). It's at the site of an old quarry. 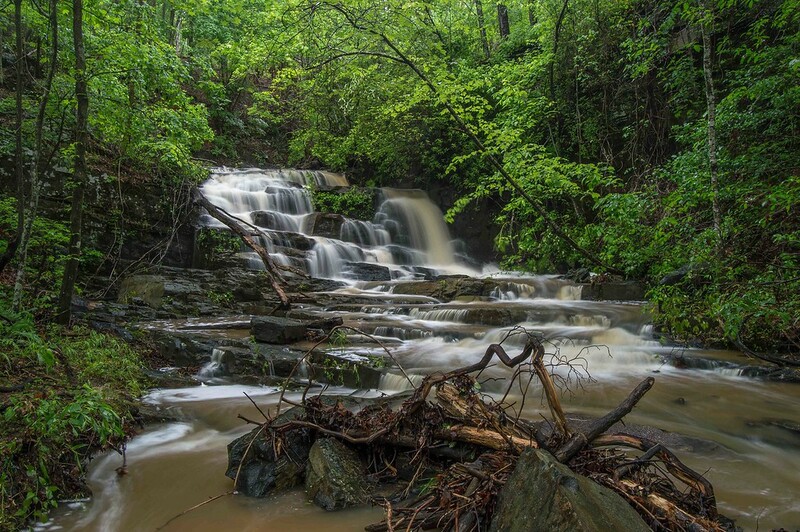 Access Info: This waterfall is at the end of a faint but signed side trail along the Pear Orchard Trail, one of several marked trails that constitute the Frady Branch Trail System. The side trail is marked as the trail to Historic Site #4.